How FIX: Cannot Access Shared Folder. You might not have permission to use this network resource. The handle is invalid. Normally, the file sharing connection problem "You might not have permission to use this network resource" appears when a user tries to access a network shared folder, without having the required permissions. At this case and in order to resolve the problem, you have to ensure that the user have the appropriate access permissions on the shared folder. However, if you know that the user's permissions on the shared folder are correct and the connection issue "You may not have permission to use this network resource" appeared suddenly and without obvious reason, then the problem is probably due to the installation of a Windows Update. At this case continue to read below to fix the problem. * Note: If you face the share error in the middle of January 2019, then the culprit is the following Windows Security Update: January 8, 2019—KB4480970 (Monthly Rollup). Method 1. 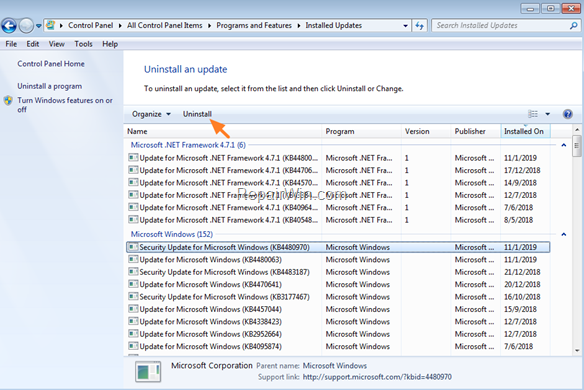 Uninstall the Latest Windows Update. 1. Right-click at 'My Computer' icon and select Properties. 4. 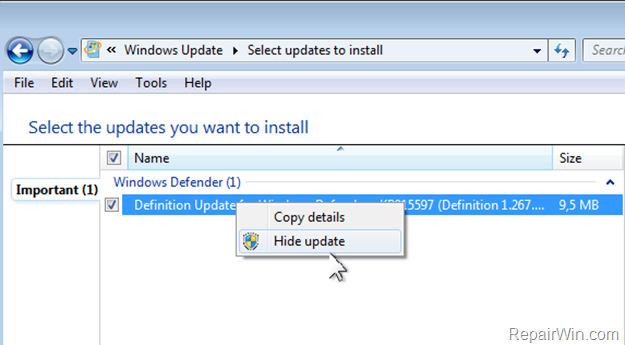 Sort the updates by the installed date, by clicking Installed On. * e.g. 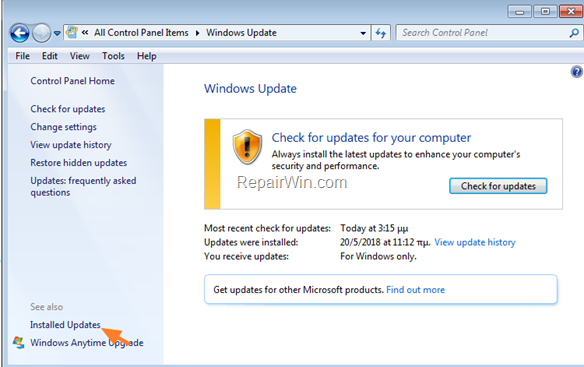 If you face the share error in the middle of January 2019, then proceed and uninstall the "Security Update for Microsoft Windows KB4480970". 6. When the installation is completed, restart the computer. Case A: If the problem persists, then proceed to uninstall all the latest installed updates or continue to method 2 below. 1. Navigate to Windows Update and Check for updates. 2. Click on Important Updates. 3. Right-click on the problematic update and click Hide update. 4. Finally click OK and then close the Windows Update. Method 2. 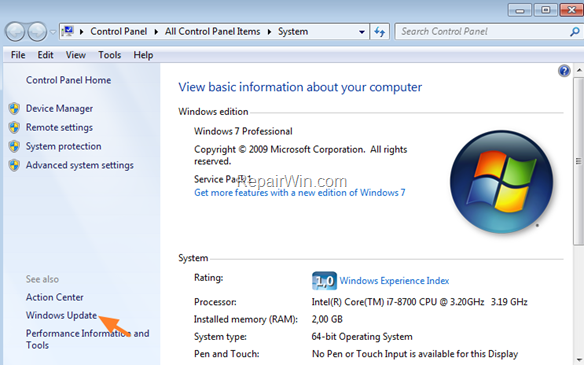 Restore your PC to a Previous Working State. 2. 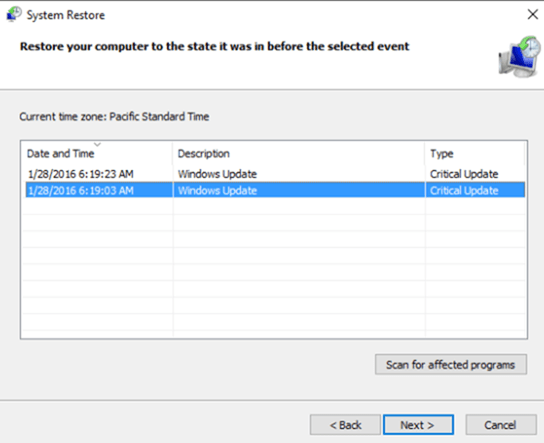 Type rstrui & click OK to launch System Restore. 5. After system restore, try again to access the shared folder from the client machine. You literally saved me!, I tried all the methods that are around without expecting to be something Windows Update related, I hope they would include something that could point to this fix. Method one worked on my home network shares. I am an AD admin and tested this at work. The bug does not appear to affect AD members. Method one worked perfectly and saved me boatloads of time trying to pinpoint this, thank you, thank you, thank you! You are awesome. Method 1 worked perfectly. Thank you.